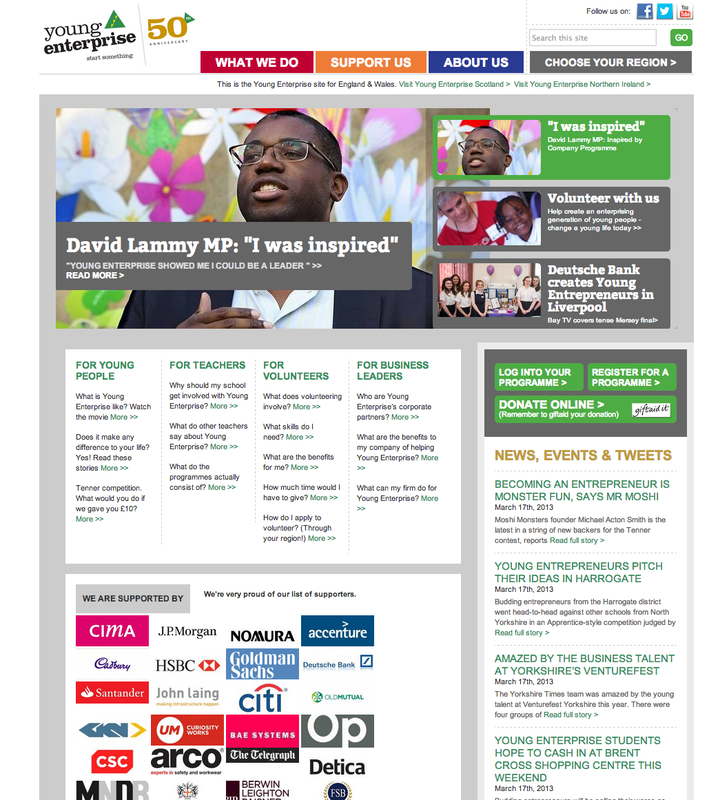 I worked with a UK designer to build the new UK Young Enterprise charity website. The site was built using the WordPress platform, is responsive and is heavily customised on the admin end to allow for seamless updates from a wide variety of Young Enterprise staff members. I wrote a OAuth Twitter cache plugin to increase the sites performance.